Read more about Cartruck Packaging and the history behind our company since 1964. Cartruck has been providing military and commercial packaging services since 1964 when the company was moved from Toledo Ohio to the west side of Cleveland Ohio. Cartruck set up it’s first military approved coating line in 1984 for the purpose of being a one- stop shop for manufacturers who enjoyed the convenience of having their products painted and packaged to any military spec in one location. We then added powder coating in 1996 which added even more versatility to Cartrucks line of services available. The company has been under the same management/ownership since 1984 and was moved to it’s present location of Brooklyn, Ohio in 1986. 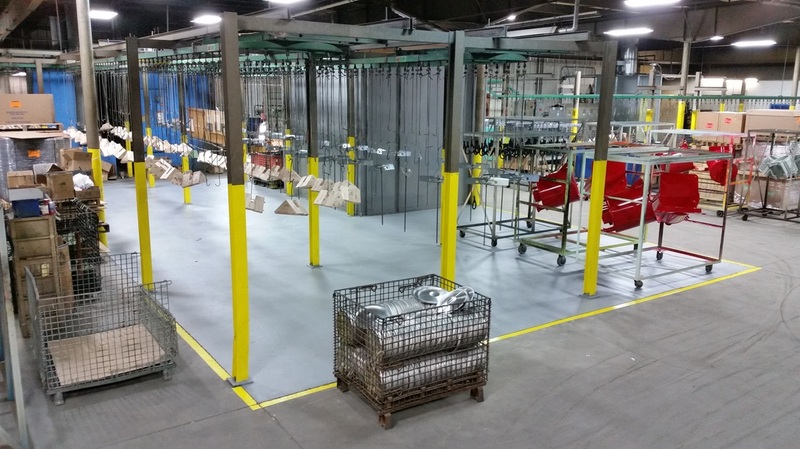 Currently Cartruck is a 24,000 sq foot facility with 4 wet paint and powder coating lines. Our cleaning and pretreatment methods include sandblasting, steel shot blasting, aqueous based production parts washing, iron and zinc phosphating and mil spec chemical film treatment for aluminum products.